Research launched today by Cadbury has demonstrated that half of Brits actually get as excited about cold winter months as they do summer scorchers! 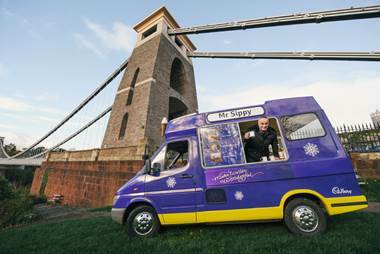 And to celebrate this, Cadbury Hot Chocolate has given ice cream vans a makeover to create the first ever Mr Sippy hot chocolate van. With the prospect of crisp white snow, putting on our matching hat, gloves and scarf and wrapping up in that brand new furry winter jacket, research launched today by Cadbury Hot Chocolate – the ultimate winter warmer – shows half (50%) of Brits actually get as excited about the cold winter months as they do summer scorchers. So to give Brits everywhere an extra bit of joy over the winter months, Cadbury Hot Chocolate is giving summer-favourite ice cream vans a makeover to create the first ever Mr Sippy hot chocolate van. This new-look van will be giving out warming cups of Cadbury Drinking Chocolate during the cold British winter. 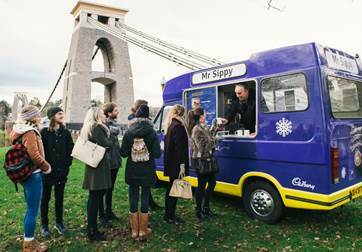 With over half of Brits (52%) wondering where ice cream men actually go in winter, Cadbury is encouraging ice-cream vans to come out of winter hibernation and get involved in dishing out some wonderful winter goodies. 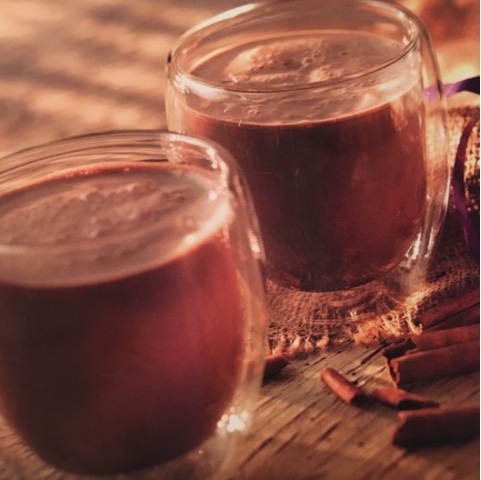 Dominic Abruzzo 50, from Bristol has become the first ice cream van man to swap cones for cups, dishing out steaming mugs of hot chocolate goodness to Brits. 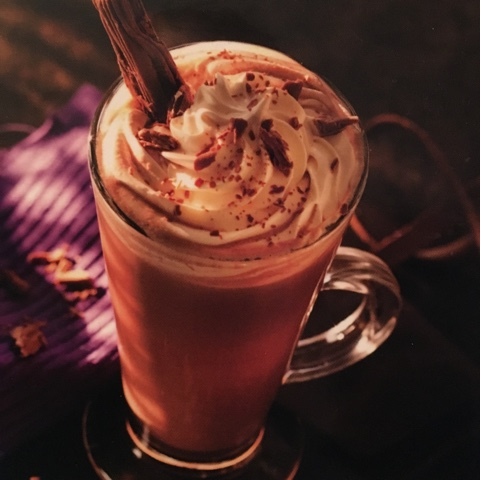 Alongside delicious Cadbury Drinking Chocolate, Dominic will be offering indulgently ingenious toppings for everyone to try including the classic Cadbury ‘99 flake, fluffy whipped cream, and even aromatic cinnamon sticks to really add to the festive feel. 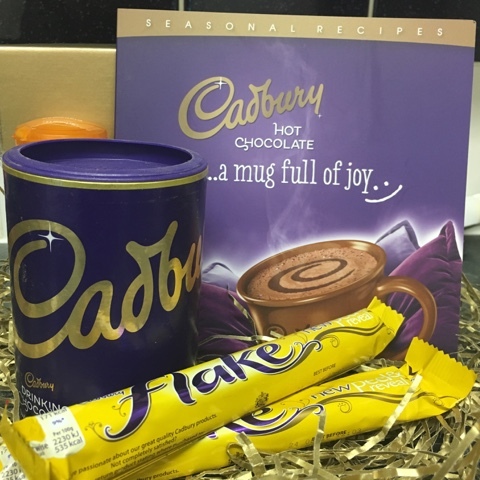 Indre Nagyte, Brand Manager for Cadbury Hot chocolate says “We wanted to bring some joy into winter and bring our fans some warming goodness over this freezing period. We know everyone needs a warming, comforting cup of delicious hot chocolate sometimes so this is a great way to make sure it is delivered in a joyful way.”. 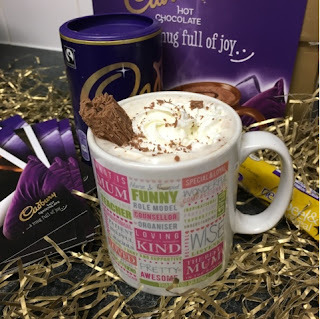 I love winter and of course after coming in from the cold its always a real treat to have a nice hot chocolate, Here are a couple of Cadbury Hot Chocolate recipes so you can have a delicious Mug Full Of Joy. Mix everything together in a stainless steel jug, then heat and foam with a steam arm to approx 70 degrees. 200ml Cold semi skimmed milk. Mix everything in a stainless steel jug, then heat and foam using a steam arm to approximately to 70 degrees. Squirt with light cream and garnish with a flake.